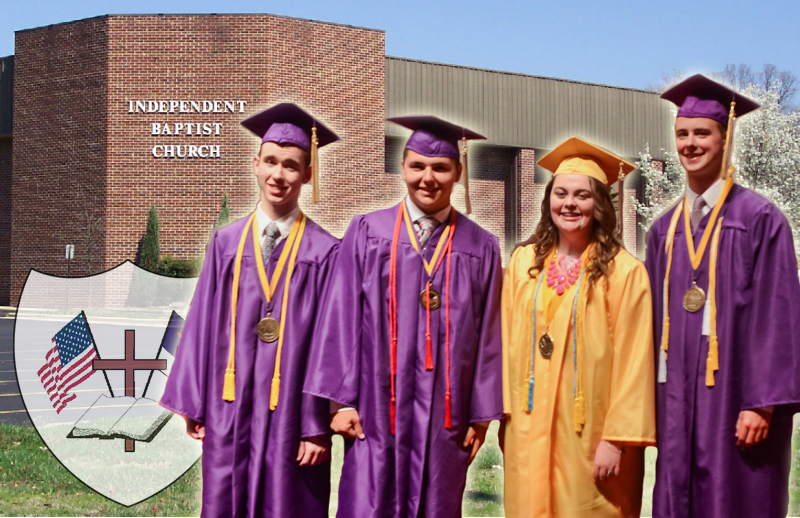 Established in 1973, Independent Baptist Academy is a ministry of Independent Baptist Church and is designed to meet the needs of Christian parents seeking a Christ-centered education for their children. First, it is to teach our young people "how to live." The King James Bible is our standard and textbook in this area as we endeavor to build godly character by teaching our young people to be honest, hard-working, trustworthy, and obedient. Secondly, we teach our young people "how to make a living." We strive for high academic standards and seek to provide our young people with the basic education they need by using a traditional classroom approach along with ABEKA and Bob Jones University curriculum and textbooks. Extra-curriculum in 3rd grade through high school includes: computer classes, choir, foreign language, physical education, art, elementary intramural sports, and junior high and high school sports competing against other Christian schools of like faith and practice. Open enrollment applications for K-4 through 5th grades are accepted from families who are active members of Independent Baptist Church or another Baptist church. We have a closed enrollment for 6th through 12th grades. If we can be of further assistance, please contact us via this website or by phoning 301-856-1616, extension 10 or 11, between the hours of 8:00 AM to 4:30 PM, Monday through Friday.